As most premeds know, applying to medical school doesn’t stop with the MCAT. 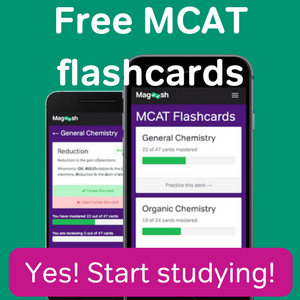 Using the best study strategies and study resources, like Magoosh’s MCAT prep, to achieve your highest score possible is only one piece of the puzzle. While your MCAT score may certainly be the most nerve-wracking component of the application process, there are 5 other important criteria for medical school admissions that are needed to secure your seat at your top choice med school. Scholastic Aptitude: This one is no brainer. Medical school is academically rigorous; therefore, schools want to know if you can manage this type of commitment. As such, it’s not only important that you can perform well in the classroom, but you must become a proficient test-taker as well. To get an idea of how well you will do on standardized tests throughout your career. 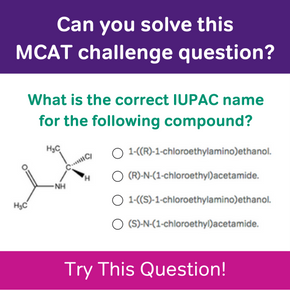 To gauge how well you can handle these tasks, schools look at your MCAT score and your GPA. 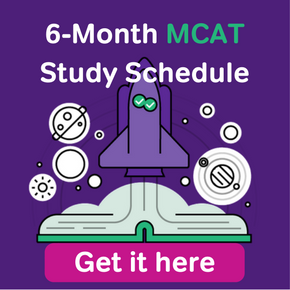 Often, when we’re studying for the MCAT, we think of it as the last big test that we’ll ever have to take, when in actuality, it’s only the beginning. Fortunately, there are plenty of resources to help you prepare and show schools that you have what it takes. Letters of Recommendation: You are required to submit at least 3, but no more than 10, letters in support of your application. Of these, 2 must come from college professors who taught you in science, and the others can come from someone else who knows you well and can speak on your candidacy to medical school. To secure strong letters, make sure that your professors know you well because the only thing worse than a bad letter is a mediocre letter. Also, make sure you give your letter writers plenty of time to write and submit your letter. Clinical Exposure: Applying to medical school is ridiculously competitive, so it’s no wonder why it’s extremely important to admissions committees that applicants are truly committed to the field of medicine. To prove your commitment (not only for the benefit of admissions but also to ensure that you’re truly following your own dreams), you should be able to document your clinical exposure. There are dozens of ways to meet this requirement: shadowing, clinical research, volunteering, scribing, in addition to plenty of other activities that you may find rewarding. Added Value: Added value refers to anything that is unique about you. Whether you play sports, teach school, are an accomplished makeup artist, or a published author, medical schools are very interested in who you are outside of your premedical activities. Well-rounded applicants become well-rounded physicians who can connect and relate to a diverse patient population. So don’t be shy about that hobby or interest that you think has nothing to do with medicine—those things help to illustrate your humanism, which is an essential character trait for a future doctor. Interview: In our super-connected society, where we communicate through text messages and status updates, the idea of speaking to someone face-to-face during an interview is daunting because the stakes are so high. But when given the opportunity to interview, you should truly be yourself. Seriously. At this point in the application process, both you and your prospective medical schools are trying to get an idea of how you will fit in with the campus culture. If you’ve made it to this point in the process, it’s your chance to shine. Medical schools put a lot of emphasis on interviews because meeting you allows them to finally connect all the dots in your application and get a full picture of who you are as a person. It’s your job to present yourself on your own terms.